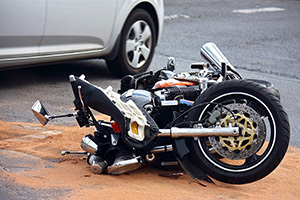 Motorcyclists are at much greater risk when it comes to being in an accident and often incur very serious injuries. Sadly, these types of accidents are often caused by other motorists who are not paying attention to the road. Drivers will slide over into the motorcyclist’s lane, causing them to swerve and crash. Negligence like this simply cannot stand. If you have been the victim of a motorcycle accident, we want to help. You shouldn’t have to pay for medical bills that resulted from an accident that wasn’t your fault. Call The JW Law Firm for expert legal representation and get the compensation you deserve. We carefully look at every case to determine what is the best course of action. Below is a general online of our process. The driver swerves in front of a cyclist. The motorcyclist is cut off at an intersection. The driver exceeded the speed limit. The driver broke traffic laws. After we have your claim, we will then meet with the other party for a negotiation. The goal here is to agree on a settlement that compensates you justly. However, if a settlement cannot be agreed upon, then we can take your claim to court. This will officially begin the lawsuit process. It is still possible for a settlement to be reached at this point, but if not, the ultimate ruling is up to either a judge or jury. We promise to fight for you so that you get your due compensation. If you or a loved one has been the victim of a motorcycle accident, call The JW Law Firm. We’re here to help.